Living in Eastbourne, we’re very aware of the presence of the sea and can imagine how painful it must be to watch that relentless sea eroding away the land from beneath your house. As such, we decided to put on the play, Sea Fret, which addresses the issue of coastal erosion on the Suffolk coast and the effect it has on the people who lose their homes to the sea. Recent collapses of cliffs in Norfolk and, much closer to home, at Birling Gap have demonstrated why this phenomenon can be so heart-breaking and why we thought it was such a good choice for a poignant play to be performed here in Eastbourne. Sudden cliff collapses this year in Hemsby, Norfolk have highlighted why this is a far more dangerous and immediate problem than people sometimes think. It’s easy to imagine coastal erosion as something that happens slowly so people should be able to foresee problems and deal with them but weather conditions combining high tides and strong winds can erode away sand dunes and cliffs very quickly. During a weekend of bad weather in March, six metres of dune was washed away in just 24 hours which lead to houses on top of the cliff becoming unsafe almost overnight. Residents suddenly found themselves homeless with no warning and some were unable to enter their homes to retrieve their possessions so simply lost everything they had due to a weekend of bad weather. One resident explained that he’d bought the property in November last year after being assured by surveyors that it wasn’t at immediate risk from coastal erosion. Another gentleman said, when he bought the house, there was still 70 metres of garden between the edge of the cliff and the house. As it’s too dangerous to move demolition machinery near these properties, they are simply left to fall into the sea bit by bit along with everything inside them including some treasured possessions. We imagine that watching this slow but relentless process must be awful for the people who lived there. Closer to home, Birling Gap lost four metres of cliff in one day during the winter storms of 2013 to 2014. The staircase often used by walkers and tourists has to regularly be moved for safety as this part of the cliff is constantly eroding in sometimes dramatic falls. Thankfully, there are not many homes affected by this but it has made this very popular scenic area incredibly dangerous for visitors who have a bad habit of trying to take selfies too close to the end which can collapse at any time. Just last year, the day after a serious rock fall, a young foreign student fell to her death trying to take a picture on the cliff edge. The danger posed by coastal erosion in this area means it’s something close to our hearts in Eastbourne. The poignancy of the subject matter and its relevance to our local area were some of the reasons we chose to put on this play. The main reason though was just that we thought it was a great play. It follows two characters who live in a pillbox (concrete dug-in guard posts created during WWII commonly found on beaches) beneath the cliff where the remains of their house are slowly crumbling into the sea. This play is about more than physical corrosion of the land by the sea though. It’s about the corrosion of friendships and families too. 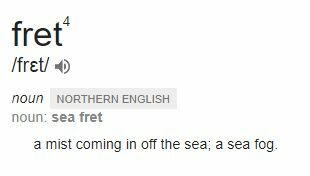 Sea Fret is on at the Lamb Theatre in Eastbourne’s Old Town from 25th to 28th July. Click here for more information and to book tickets. Boozy function rooms were once theatre’s radical heart. Rising costs and the changing face of the fringe threatened all that – but pubs around Britain are pulling in audiences with their spirited productions. For 50 years, pub theatres have been synonymous with the London fringe. Spaces such as the old Bush and the Gate – tiny function rooms, stuffed with seats and painted slapdash black – were theatre’s radical edges, pushing at sensibilities and possibilities alike. They were a launchpad – maybe the only one – for new talent. Artists as distinct as Katie Mitchell and Kathy Burke made their first shows above pubs. These days, however, you’re as likely to find a dusty rediscovery or a staid curio as you are the next big thing. The Play That Goes Wrong – an Olivier award-winner now on Broadway – started out at the Old Red Lion five years ago, but conventional wisdom has it that pub theatres, like pubs themselves, aren’t what they once were. Easy as it is to romanticise the past, there’s a fair bit of truth in that. London theatre has changed – almost beyond recognition. Pub theatres haven’t. Run on a shoestring, stuck in shabby black boxes, how could they? As big subsidised theatres have picked up experimental fare, pub theatres have faced an identity crisis. At the same time, the fringe itself has mutated. Found spaces have put down roots, while venues such as Southwark Playhouse and the Arcola have emerged and quickly expanded into new premises, sprouting their own bars and second spaces in the process, arguably outstripping their boozier rivals. Neil McPherson, long-serving artistic director of the Finborough in Earl’s Court, says there’s “a lot more competition now” – both for shows and for audiences. Public houses are built on storytelling: these shared spaces sit within communities in a way other venues can only dream of. At the Old Red Lion, football fans rub shoulders with playgoers. The two groups might even – gasp – overlap. Shabbiness might be pub theatres’ secret weapon, says Clive Judd, new artistic director of the Old Red Lion. Their informality extends beyond audiences, to artists – those at odds with institutional theatres. “I’ve never felt uncomfortable here,” he insists. “Pub theatre is absolutely and uniquely British,” says Lou Stein, the American director who established the Gate above an Irish pub in Notting Hill in 1979. He’d just relocated from New York, where the off-off-Broadway scene had started 20 years earlier in the coffeehouses of Greenwich Village. 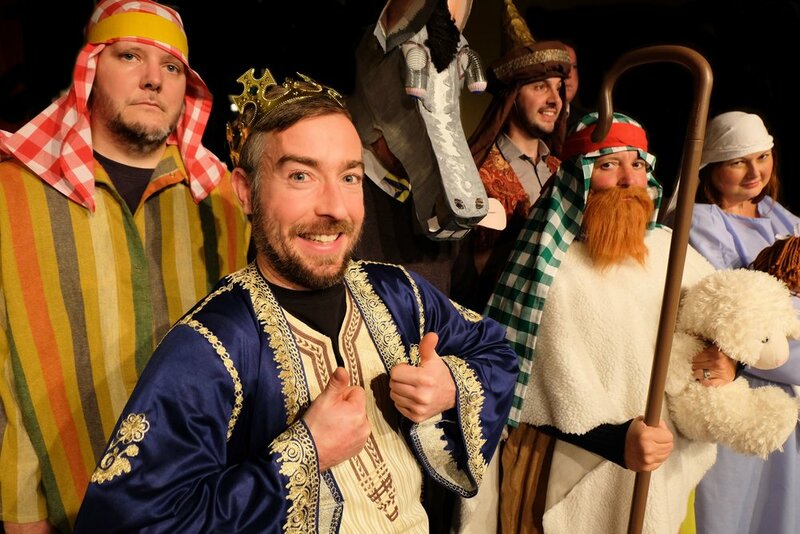 For Stein, now running the inclusive Chickenshed theatre company, it’s a way for theatre to flourish away from and in opposition to the mainstream and its gatekeepers. The work should follow suit. Pub theatres don’t do polish, and for Judd, that’s key. “If you’re going to develop writers, they have to recognise what’s not working. You can only do that in front of a live audience.” Rather than putting plays through workshops and endless redrafts, pubs tend to push scripts through to production, warts and all. “You can find an obscure play and have it on in three to six months,” says McPherson. Subsidised theatres, by contrast, think a year ahead, minimum. The history of pub theatre is patchy. Though a few Victorian taverns were annexed to theatres – Sadler’s Wells at its start, for example – the first pub theatre proper was founded in 1968, when Leonie Scott-Matthews set up in a disused skittle alley beneath the Freemason’s Arms in Hampstead. It would be three years before Pentameters, still run by Scott-Matthews today, found itself a permanent home above the Horseshoe, half a mile away. In that time, Dan Crawford had started the King’s Head on Upper Street, Islington, a venue he ran until his death in 2005. Pub theatres are now popping up around the country. Though never exclusively “a London thing”, venues elsewhere tended to house fringe shows. That’s changing - all on the sort of sweetheart deals of old. Further proof, then, that it’s far from last orders for pub theatre. 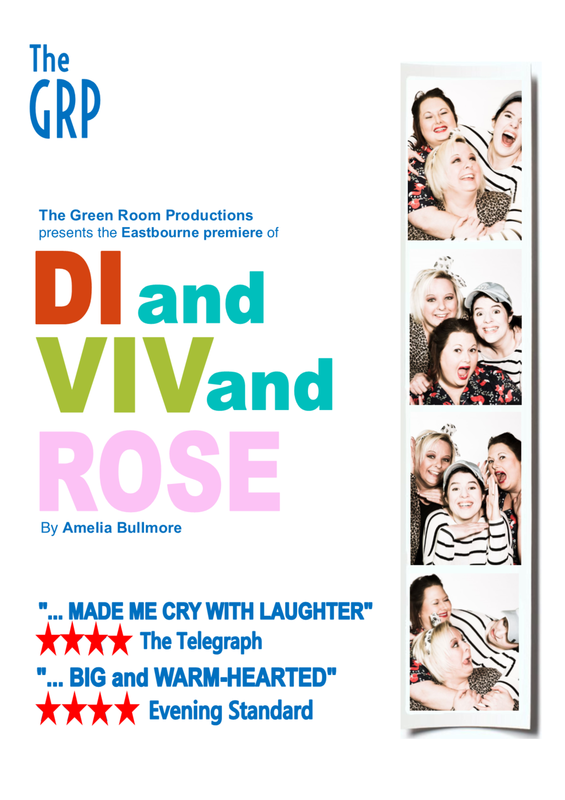 Di and Viv and Rose is a story of enduring friendship. Playwright Amelia Bullmore decided to write it in 2009 when she realised how much she missed an old friend. The feeling was so powerful that it inspired her to write a piece about the profundity of female friendships and the importance of these long-standing relationships. We chose it as part of our programme this year because it really resonated with us and we believe we have what it takes to do it justice. Originally performed downstairs at the Hampstead Theatre in 2011, this play received rave reviews including the Guardian describing it as “impossible not to like”. It was directed by Anna Mackmin and stared Nicola Walker, Claudia Blakley and Tamzin Outhwaite. In 2013, it was moved upstairs at the Hampstead Theatre with some cast changes before moving to the Vaudeville Theatre in the West End in 2015, again with a slightly different cast - however Tamzin Outhwaite remained in all three casts. Sadly, the run was cut short by two months at this venue despite all the glowing reviews and positive audience responses. The show’s producers said, “the West End can be an unpredictable place and transferring a new play has its risks.” Fortunately, the rights to perform the play became available to other theatre groups shortly after and it has been performed widely ever since. Amelia Bullmore was inspired to write this play after seeing a woman who had calves just like her friend’s. The yearning she felt to see that friend was something she wanted to try to capture in this play along with the delight she felt at seeing another friend pull a stunt that made her roar with laughter. Apparently, she was meeting her friend at a train station and, while scanning the crowd for her, spotting a couple snogging. At second glance, she realised it was actually her friend pretending to snog a statue to make her laugh. She didn’t want it all to be frivolous jokes and fun though, as she wanted it to reflect real life friendships that have ups and downs. Although she appreciates the friendship of men, she felt there was something special about the friendships of women and the way they share stories of other people’s lives and how they affect their own. Condensing all of this, including a 30 year friendship, into a two hour play was a challenge but we feel that Bullmore rose to it admirably. Why we Chose to Perform it? It isn’t just the success of Bullmore’s writing that drew us to perform this piece. The profundity of female friendships is something that resonates with us as a predominantly female company and we are always on the lookout for plays with interesting and substantial parts for women (a much harder task than it should be in the 21st century!). Sandra saw this play and was keen to direct it as it immediately pulled her in to the characters and their lives. She thought it would suit our actors and our intimate space at the Lamb. To book tickets for this fun-filled but touching play, book online here. 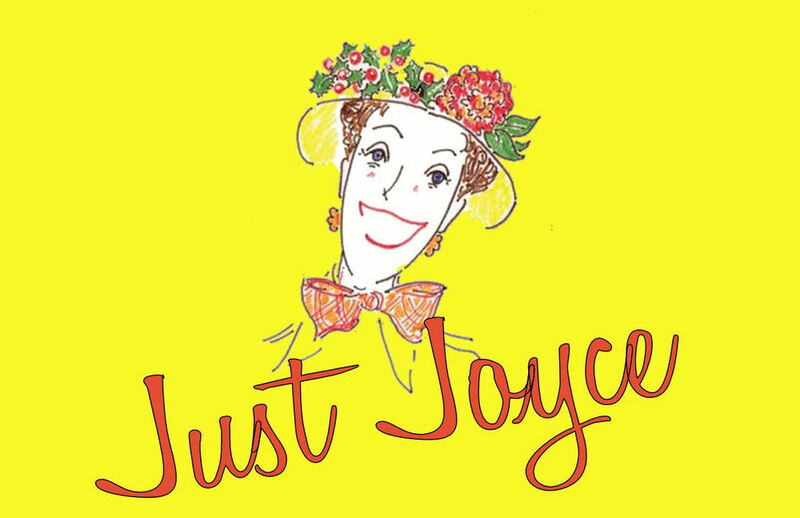 If you would like more information about the play, the theatre or Green Room Productions, please feel free to contact us here. At Green Room Productions, we put on plays that make people think, laugh and cry. Our mission is to bring the best modern plays to Eastbourne and play them with oodles of heart and plenty of polish. This season promises to be no different. We have selected three brilliant new plays for your viewing pleasure to move and amuse. In addition to our theatrical programme, we’re also offering a treat for the ears with a performance by our talented singing group, the Green Room Belles. Giving us un insight into the friendship of three female students in a shared house in the 80s, this play is energetic and full of fun. True to real life, it isn’t all frivolity, however, and delivers enough range of emotional content to move the hardest of hearts. Sandra, our director, chose to put on this play after it was recommended to her by a friend. She read the script and was so impressed that she applied for the rights to perform it with the same persistence and dedication as Andy Dufresne pestering for money for books in the Shawshank Redemption. Like Andy, she got her way in the end and is delighted to be directing it this year. Sandra sat up until an ungodly hour of the night reading this play because she couldn’t put it down. She described it as “a powerful, gritty and emotionally poignant drama and is going to be a huge challenge for the two actors. Everything that a good play should be.” It explores the issues faced by two women after they leave prison. The company that first produced the play, Clean Break, put on plays to raise awareness of the complex problems faced by women at the wrong side of the criminal justice system including mental health issues going untreated. We hope the play captivates the audience the same way it captivated Sandra. After the success of their Christmas concert, Belles Sing Broadway, the girls were very excited to be performing again at the Lamb. Like the Christmas show, this time around they will be sharing some unusual arrangement of film soundtrack classics alongside less well known but equally lovely songs. We have all heard the Biblical quote that begins “the sins of the father…” and, in this play, we see how a son deals with finding out his father’s sins are terrible indeed. The main character, Rudi, discovers that his father was not only a Nazi during WWII, he was a Nazi doctor who performed horrific experiments on Jews in concentration camps. This is another play that Sandra has been keen to perform for some time and even had to write to the playwright herself through Twitter to obtain a copy of the script. What held her back, was the main part requiring a very specific type of actor. We have now found just the man to bring this thought provoking play to life. Watch this space for more detailed information about these plays and an insight into our rehearsal process. If you would like any information about these plays in the meantime, please feel free to contact us. Tickets are available for all of these shows online here. We look forward to seeing you at the Lamb Theatre soon. The last fortnight before any production is a manic time for me. Everything needs to be sorted. Programme designed, practice props replaced by real ones, costumes co-ordinated and worn, liaising on set design/construction, sound FX recorded, lighting designed, cue sheets written up and so on .... My to-do list just gets longer and longer, and my sleep gets less and less! It amuses me (in an ironic way) that for so many plays I end up hunting down props that in the past have sat around the garage or loft, and we have thrown them away. There is only so much theatrical 'stuff' we can house, but I am always wary of throwing things away. Yesterday I spent AGES looking for just the right plastic picnic mugs online - you know, the one's that were ALWAYS on the top of flasks. The one's that EVERYONE used to have. Thank goodness for the internet, and that I don't have to trawl around shops any more! So following on with some more tales of theatrical woe ... in a school production (some years ago - no comments please), a character I was on stage with, had to spend an entire scene embroidering on a flexi hoop. As the scene to came to a close, she had a big speech, she stood up to say her piece and she had sewn the entire embroidery (hoop and all) onto her skirt. She had to spend the rest of the scene with it hanging from her skirt - her final sweeping exit was a hoot! This was the start of me digging my nails into my hands to stop myself corpsing. 'The Wife, The Mistress, The Chair' has been a props challenge with handcuffs and ropes - not finding, but actually using (and before you ask, no, it is NOTHING like '50 Shades of Grey')! I have often pondered on why I enjoy acting - never more so, than on an opening night when I am standing in the wings waiting to go on. At these times I actually question my sanity! Even after all these years, I don't think I have ever found a definitive answer to that question ... except, I just do! I do think that there is a large element of enjoying being someone other than yourself. It is a thrill to get into the mind of another 'human being', and exciting to be able to act things as a character, that you would never do in 'real life'. So is the answer escapism? To a certain extent, I think maybe it is. I am going to remain silent on this subject now, as I am going to post this blog to other actors I know, and see what list we draw up between us .... literally watch this space!